This is an update to the ADXColorBands indie. I have added a switch to turn it on and off. This may help to declutter your chart. 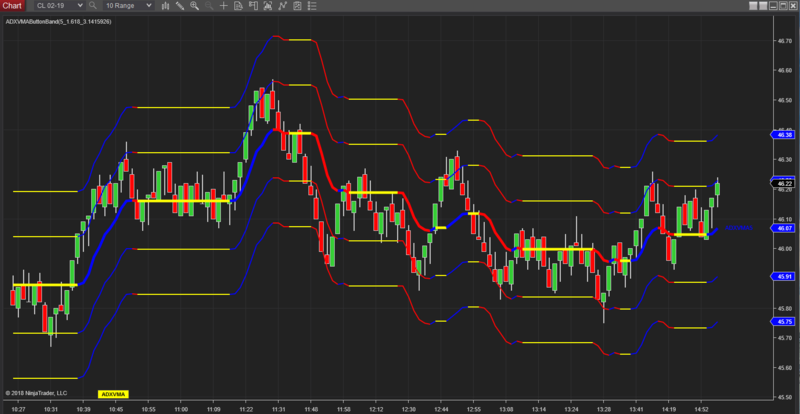 Also you could have several instances of this on the same chart to look at a 3 period, 5 period, 8 period very quickly. When the center line is flat or yellow, the trend is not defined. I have found that a touch of the band with a yellow center will reject. I hope that this helps you with the chop.